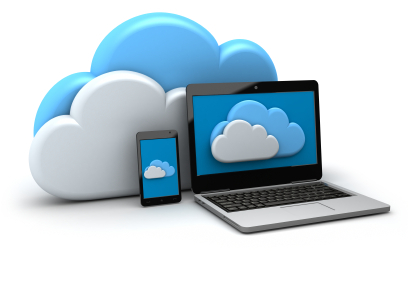 Blog What are VARs and MSPs Thinking About BYOD, Cloud Services and Managed Services? Major shifts in the landscape are changing in the way our customers are using the technologies we provide. It’s the VARs and MSPs that stay ahead of the curve that will carve out the greatest advantages and opportunities in this changing landscape. What is happening in our industry is similar to the decline of newspapers. With the advent of new technologies and alternative ways to consume news, the once pillars in the industry crumbled because of holding on to the old ways of doing business. How can you evolve your business to survive all these changes and actually increase revenue? At a recent event we asked many VARs and MSPs what they thought about some of the new challenges in the fields of BYOD, Managed Services, and the infamous Cloud. Here is a summary of what your peers had to say. How are you leveraging BYOD? Their sense is that employees are mostly accessing corporate e-mail and CRM content through their mobile devices. It is clear that most of the companies definitely need solutions for compliance and data protection for mobile devices. Since the effects of breaches have not been widely felt yet, they see this as an issue on the horizon that is gaining momentum but has not yet reached a tipping point. Without a doubt, companies see the potential risk for their data being “mobile” and in the hands of their employees. They also see that the issue is far beyond just the actual smart phone to include situations where their data is being stored on other devices at employee’s homes, portable media like USB sticks, as well as Cloud Storage such as Dropbox, etc. The Question that is being asked is: How can companies protect their precious data while protecting the privacy concerns of their employees? Compliance and privacy requirements will greatly vary depending on the type and size of the company. There is also some push back from the employees who also store personal content on their business smart phones. They are reluctant to have IT staff access their devices, and track their use. Some companies have resorted to offering a dedicated corporate smart phone, but will the employee use two devices? Regardless, the demand for BYOD compliance and data security is growing. Don’t let your competitors start the BYOD conversation! The first step towards a comprehensive BYOD solution is finding the right tool. VAR Office Suite has hand-selected solutions that will bring peace of mind to your customers and grow your revenue stream! How are you leveraging Cloud services? The new buzzword is everywhere and demand is growing, even if some customers don’t know what it is! Most VARs and MSPs understand the value to their end-users, but are unsure as to how they should offer the service without giving up their customer ownership to the provider. They are also reluctant in investing in the costly infrastructure to deliver their own private Cloud solutions. These concerns are causing them to temper the transition and continue to “milk” the traditional on-premise solutions. The problem is that the customers are starting to ask questions and getting wise to the CAPEX vs. OPEX shift. Some VARs and MSPs have made the investment to create private Cloud solutions and are on the hunt for a partnership with other VARs and MSPs. The result is a great opportunity for companies to collaborate and share resources. All MSPs and VARs that will survive this changing landscape already have a solution in place or are currently evaluating Cloud providers. The good news is that there are several Cloud vendors who are channel-friendly. VAR Office Suite has narrowed down your search by selecting the best of breed channel friendly providers that will help you grow this service offering, while allowing you to keep full control of the customer relationship. How are you leveraging Managed Services? VARs want to incorporate Managed Services in their business and MSPs want to add additional layers of service to increase the recurring revenue stream. For VARs, the challenge is how to convert their current clients from traditional break-fix services towards a more proactive approach that incorporates automation and optimization, without jeopardizing their current revenue streams. In the traditional model, having more service technicians along with more billable hours is the goal. In the managed service model, the goal is fewer hours of service, fewer technicians on the road, and robust remote management tools that will pull this all together. That is a complete shift in mindset, which many have a hard time swallowing. Some VARs are trying to adopt a hybrid model where they offer an SLA contract for a specific amount of pre-paid monthly time for support instead of the comprehensive monthly fixed fee per employee or per device to cover everything, in the all-you-can-eat model. Others are offering clients a monthly fee pro-rated based on what they would normally charge over the course of a year, basically converting current revenue streams into a month-to-month payment plan. By not going all in and continuing to recommend traditional hardware solutions, competing MSP’s are offering lower monthly fees and poaching these clients who now see the benefit to their business and bottom line. As far as those who have already converted to an MSP model, the challenge is how to add more services and generate more revenues. Managed Print Services and Hardware as a service are also expanding and will also challenge the channel to come up with creative ways to increase profit. VAR Office Suite can help to ease the transition, retain your customers and offer solutions your clients are craving. Just like the newspaper business, if you don’t move with the times, you risk being yesterday’s news! Understanding what the VARs and MSPs are thinking is a crucial part of VAR Office Suite as it is in continual evolution. We are adding new tools to help their business fill in the gaps. We are also not afraid to replace any tool if it no longer meets your needs. This is a very exciting time in the channel as this transition is the biggest ever and the path to success is still being determined. Let us work together on your path to success. Start by taking the business evaluation assessment so you can know your strengths and weaknesses and how to improve. Contact us today at VAR Office Suite!